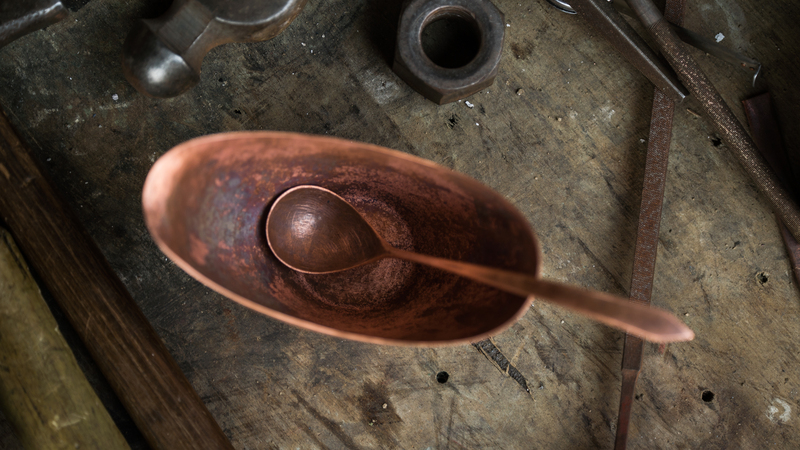 Copper products are not just decorative, they are useful. Three years ago MBQ [Meșteshukar ButiQ] launched it’s own home decor collection which included mainly cooper products as coffee pots, bowls, wine glasses, sauce boats, trays and coffee spoons. The collection was designed by Austrian designer Nadja Zerunian in collaboration with Roma coppersmith Victor Clopotar and was very much appreciated by the public. All the products were handcrafted with old Roma techniques and every hammer mark was well thought to relate with the modern touch of Nadia’s contemporary vision. Even though people would admire and buy our copper products, many customers would use them only for decorative purposes and less for their functionality. Copper products are not just decorative, they are useful and they can integrate perfectly in any household. 1. 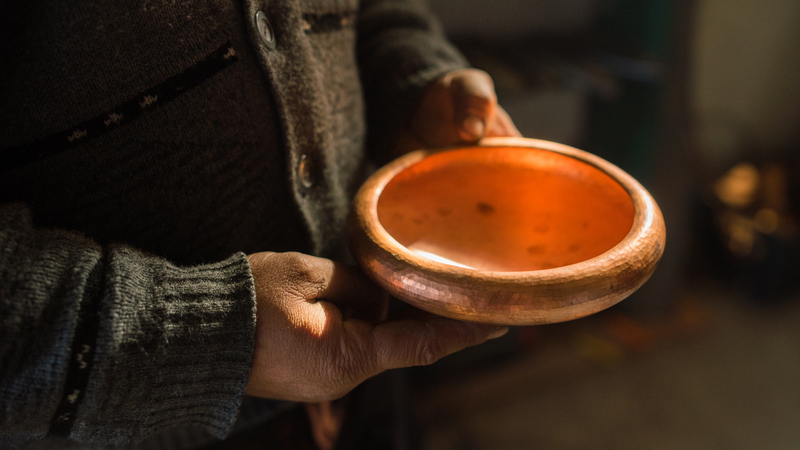 Copper is an essential element for human nutrition. The mineral is critical for blood cell formation. Copper is found in many foods and most water supplies. Foods high in copper include leafy greens, grains, potatoes and beans. 2. Copper is a natural antibacterial agent. It is also used to control algae. It is common to use brass door knobs in public buildings (brass being a copper alloy) because they help prevent transmission of diseases. 3. Copper is a perfect heat conductor. The heat will evenly be spread over the cookware and dispensed accurately. 4. Copper has many desirable properties, characteristic of transition metals. It is soft, malleable, ductile, an excellent conductor and it resists corrosion. Copper does eventually oxidize to form copper oxide or verdigris, which is a green color. 5. Nearly 80% of the copper that has been mined to date is still in use. Copper is a 100% recyclable metal. It’s an abundant metal in the Earth’s crust, present at concentrations of 50 parts per million. This are just five reasons why you should try copper cookware and integrate it without fear into your kitchen. 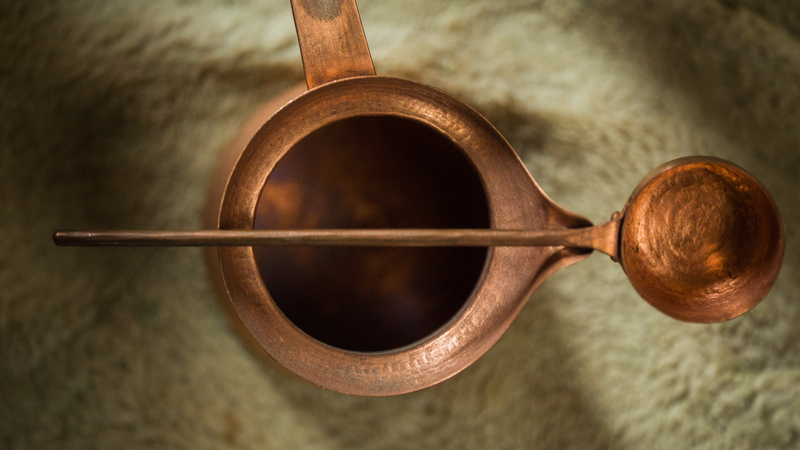 We warmly recommend you to start by making your morning coffee in a copper pot.